The long awaited Cooper ST MAXX has arrived in the showrooms and our first impressions of this all new tire brought mouthfuls full of ooh's and awes. Touted as a commercial grade traction tire, what we saw was a tire that promised to bridge the hefty gaps between the ever so popular all terrain tires like the AT3’s and the serious mud tires like their cousins the Cooper STT’s. Cooper says the ST MAXX is a heavy duty all-terrain tire and lists them as 50% Road and Sand and 50% Dirt and Mud. Well if looks are not deceiving me, Cooper may be on to something here. 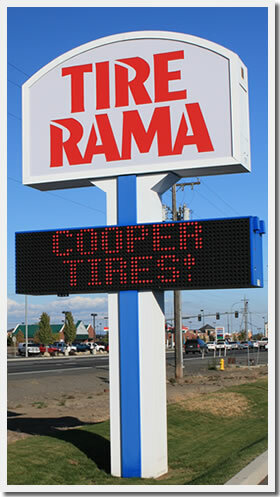 The Cooper ST MAXX shows signs of being the one tire serious weekend off-roaders well soon be bragging about. With large deep lugs and specially designed rock chucking ribs, these are surely a serious entry into the off road tire market. The added side-bite makes serious rock crawling and mud runs possible for a well-rounded choice in 4 wheeling fun. But what really intrigues us is the potential for these tires to perform as a serious winter tire too. Cooper designed these tires with their super gooey blend of natural rubber and silica that’s advertised as having exceptional wet traction and to be very capable in the snow and ice too. Well, we’ll be looking to see just how well these tires do in all of these conditions and plenty more. Off with the Cooper AT3 and on go the new Cooper ST MAXX in preparation for a winter in Alaska. Mounted on the Chevy Silverado, the new Cooper ST MAXX tires are about to embark on a winter trek across the frozen tundra in a place known simply as "The Last Frontier". The journey will surely be one to test the toughness and winter traction of the Cooper ST Maxx tires. An Alaskan winter is in the future for this set of Cooper ST MAXX tires. 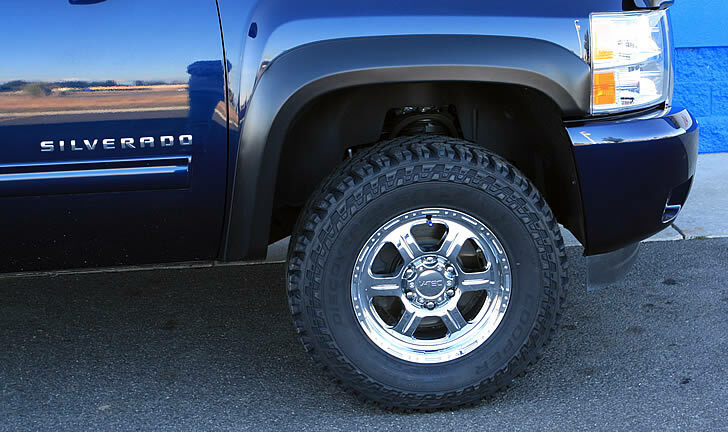 Mounted up on the 2011 Chevy Silverado 1500 are a set of LT285-70-17E tires without studs and running 60 psi of air pressure. The choice to run these tires without studs was decided on to test them in the extreme winter conditions of Canada's Yukon Territory and in our home State of Alaska. 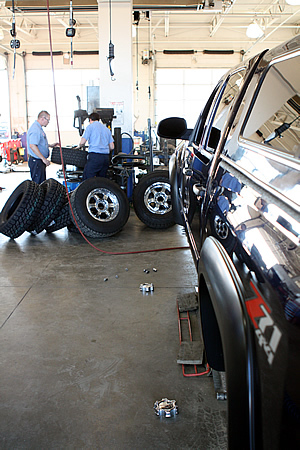 So begins the long term test of the Cooper ST MAXX LT285-70-17 tires mounted on our 2011 Chevy Silverado 1500. The review of the Cooper ST MAXX tires will take us on a journey through Canada's Yukon Territory and into Alaska for a long term test of the winter traction and durability of the Cooper ST MAXX tires. Cooper ST Maxx Reviews are still few in numbers as these tires are one of the newest designs on the market. Also see the Pro Comp Xtreme MT for a look at another outstanding entry into the off road enthusiasts.